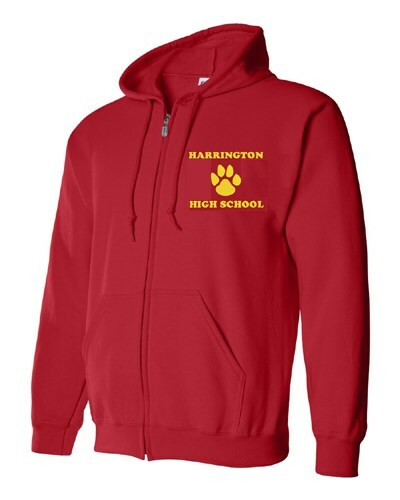 Additional locations – back of sweatshirt, sleeve, bottom of sweatshirt shirt, hood, etc. Please add $1.25 each for colored sweatshirts. Most all colors available. Add $5.00 for name on front pocket. Print will be on the front left or right side "pocket" area and a large area on the back. Price includes one proof and one revision of your proof. If additional revisions are needed, there is a $10.00 art fee per additional revision.